not really, different street, different bike, different car, and different house. we’ve been punked! I’ve confirmed it is the same street and house seen from different angles. 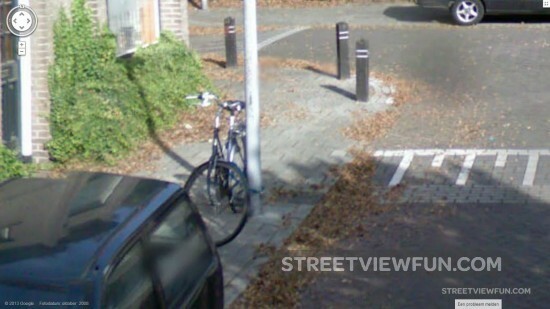 Most likely it is the very same bike too. 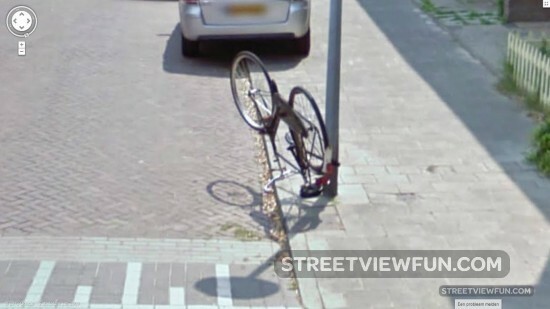 The two images were just taken at different times of the day and someone turned the bike upside down during that time. You two may both be right. I think it may be same location, but not same time. Look at the leaves on the street. Different in both views. These pictures may have been taken days apart.